This is one of those ads. that implies if you know what you are looking at you may be interested, but life would be made a little bit easier if the engine information wasn’t just limited to it’s a ‘V8’ in the text of the listing. Drivetrain: Jeffoc clutchless four-speed transmission, Ram dual, disc clutch, 5:29 Richmond pro gear, Ford 9″ housing. Paint and body: by Clay Phillips performance paint and chassis, removable fibreglass doors and front-end, original SS body stretched. Anyway, onto the listing. 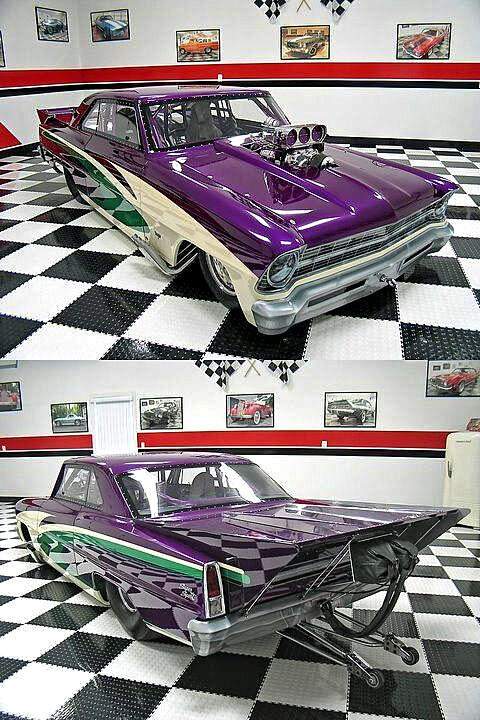 To put car together like this will cost you far more than the asking price. The car looks like it is a fresh build so I think any interesting parties would need to give it a few test runs to make sure everything is in order. The car also seems to have been a feature of various car magazines and a show winner. Not surprising when you look at the exquisite pain work and engine bay. Currently not Street legal, so the track will be its home without some serious modification, but all things considered, this is a mighty beast for the money. If you are interested in this one, it ends in only a few short hours, so decide quickly. Next Story → The Swedish Love Of Muscle Cars: The Best In Europe.